Niv Art Centre, as an alternative space for art and culture does different activities to promote art awareness and education for the general masses and art community. Film screening at every Friday is also a part of that vision only. In India we have very few centres and platforms where we can share and discuss some serious films especially the art films, and if there are a few centres are existing they are not accessible for everyone. 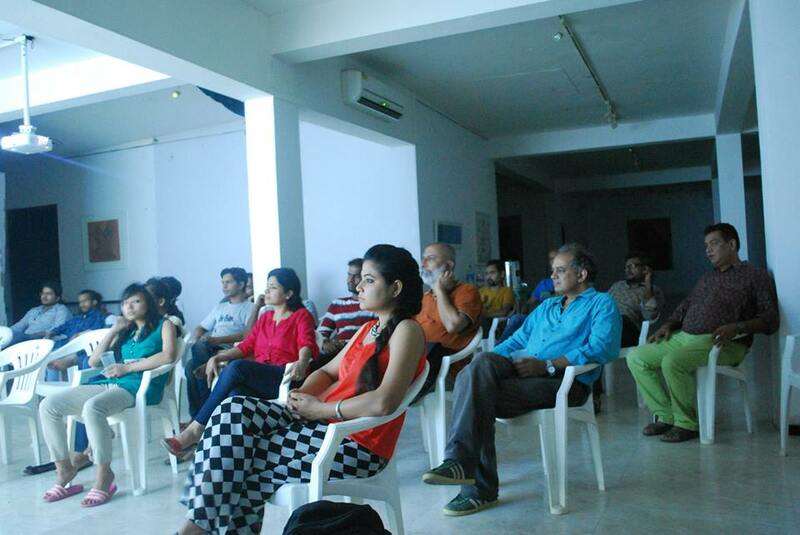 Niv Art Centre in collaboration with Trees, started this initiative to build a common platform for watching, showing and discussing the films. it is a place where anyone can come and enjoy the films, take an active part in ongoing discussion, and also suggest or submit their films for next sessions. Films are the most affective and effective media that can be used for cultural, social, political, historical education, and ironically it is also the most misunderstood media in India, the larger population of this country knows only about popular Hindi/regional cinema, and some of dubbed Hollywood movies, and we need many centres and platforms like this where people will know ‘what, how and why’ about some good and serious cinema. To watch a movie is also an art, and it can be learnt only after spending a lot of time doing the same. so, please come and join Niv Art Centre and take part in this visual/cinema awareness program. 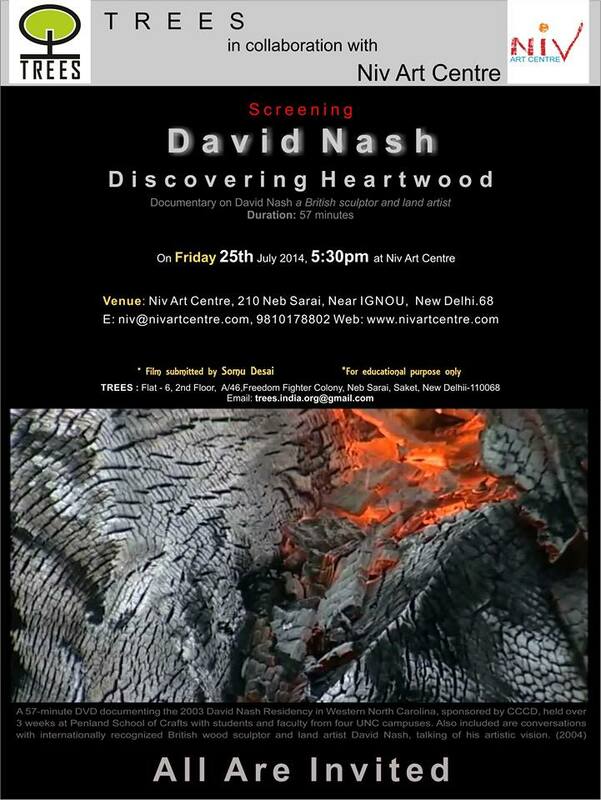 Screening today DAVID NASH Discovering Heartwood at 5:30 pm.